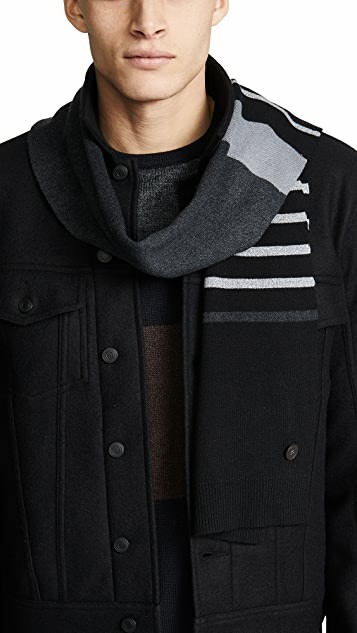 Classic, solid pure cashmere scarf. 9″ x 66″. Tubular construction with a silk front and a wool back. 10″ x 60″, with 2.75″ fringe. Made in Italy. Crafted from a cashmere and silk blend. 70″ x 180″. Made in Italy. Crafted in a cotton and silk blend with a Golden Fleece logo monogram. 26″ x 70″ with fringe detail-Â¾” long. Made in Italy. Dry clean only. 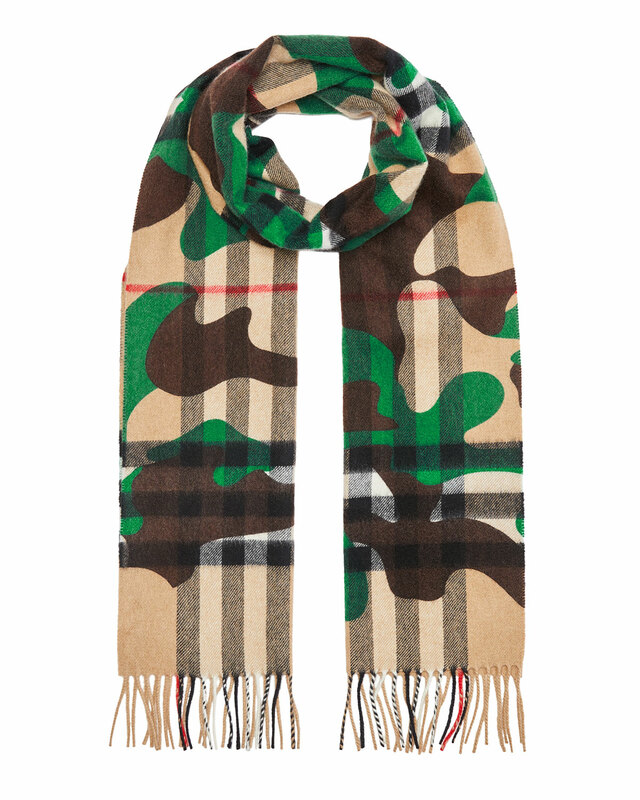 Burberry scarf in camo-print signature check. 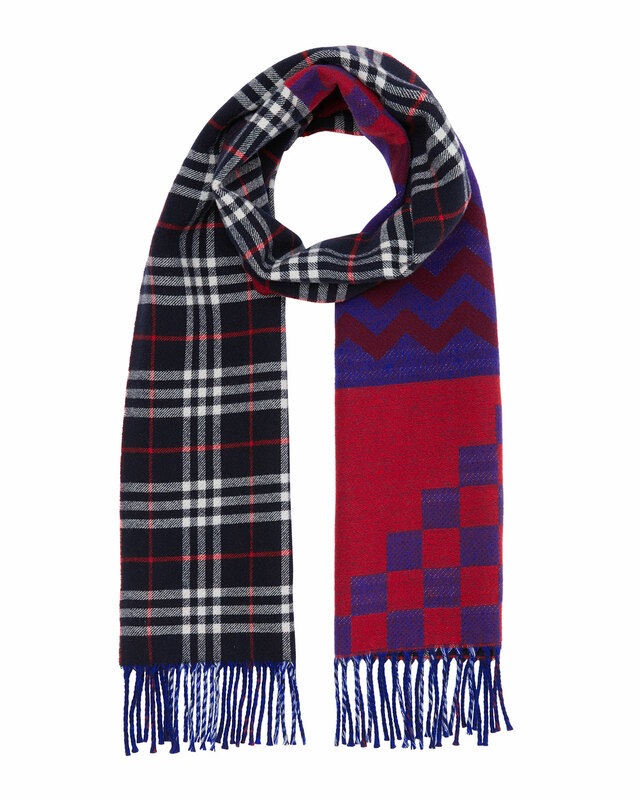 Burberry scarf in colorblock zigzag and signature check.